Filing for bankruptcy protection is not an easy thing to do. It seems to me that one of the biggest obstacles to people finally filing for bankruptcy is the social stigma attached to it. Many people think that they are dead-beats or just irresponsible for filing for bankruptcy. Or that as soon as they file, that everyone in their ward or neighborhood will suddenly know about it. As if bankruptcy filings were included in the church announcements every sunday. This could not be any further from the truth. Often times, it is the economy and the decisions of other people (divorce or separation) that lead us in the filing for bankruptcy. It is IMPERATIVE for everyone thinking of filing for bankruptcy that they understand that bankruptcy is a FINANCIAL decision- not a MORAL one. The founders of our country understood the role of bankruptcy and provided for the creation of courts to administer bankruptcy cases in the U.S. Constitution. Mark Twain (Samuel Langhorne Clemens), 1835-1910, pre-eminent American author, lost most of his money investing in a worthless machine called the Paige Compositor, an automatic typesetting machine. He filed for bankruptcy in 1894 and discharged all his debts, but was determined to repay the debts. He knew he could earn money by giving lectures to large audiences, so he traveled to Europe and spent the next four years lecturing in every major city. He used the proceeds from these lectures to repay all his debts. He also wrote several of his more famous books after filing bankruptcy including Pudd’nhead Wilson andFollowing the Equator. Henry Ford 1863-1947, automobile manufacturer, first two automobile manufacturing companies failed. The first company filed for bankruptcy and the second ended because of a disagreement with his business partner. In June 1903, at the age of 40, he created a third company, the Ford Motor Company with a cash investment of $28,000.00. By July of 1903 the bank balance had dwindled to $223.65, but then Ford sold its first car, and as they, say the rest is history. Jerry Lee Lewis, 1935- , famous rock star, filed for bankruptcy in 1988 because of huge tax debts. He still gives live concerts and remains a successful musician. Burt Reynolds, 1936- , movie actor, filed for bankruptcy in 1996 in Florida after his much publicized divorce from Loni Anderson. He had more than $10 million in debt. His dinner theater was foreclosed on by the mortgage lender and his ranch was sold. Since his bankruptcy he has continued to act in movies and was awarded the Golden Globe for Best Supporting Actor in the film Boogie Nights. Walt Disney, 1901-1966, cartoon creator, filed for bankruptcy in 1920 after his main client of his new business filed bankruptcy. Disney said he could no longer pay his employees or the rent and had no choice but to file bankruptcy himself. In 1923 Disney formed a new company with a loan from his parents and his brother. 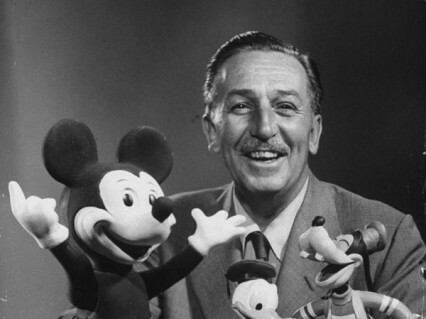 In 1928 he created “Mickey Mouse” and became one of the most successful businessman in history. Larry King, 1933-, talk show host, filed for bankruptcy in 1960 and then again in 1978. He said each time that he was deep in debt. Donald Trump, 1946-, businessman, filed a Chapter 11 bankruptcy case for his casino empire in 2004 to reorganize his business after negotiations with his creditors failed. This was the second bankruptcy case for his casino business, in 1992 he had filed Chapter 11 bankruptcy for his casino business. Abraham Lincoln, (1809-1865), 16th President of the United States of America, declared bankruptcy in 1833 because of a failed business. He was required to repay his creditors over a period of 17 years, much longer than the maximum requirement in a Chapter 13 today, which is 5 years. I cannot stress enough that filing for bankruptcy relief is a financial decision- not a moral one. Filing for bankruptcy does not make you a bad person or irresponsible. More often than not, filing for bankruptcy is the responsible thing to do for your family. Bankruptcy isn’t for all situations- but it can be an amazing tool to substantially eliminate or reduce your debt. Too many people wait until they are getting garnished or ready to have property seized before they call our office. I often ask myself- would the world be better off if Walt Disney had just decided to give in to creditors and close up his shop? Not according to my daughter. Call today for a free consultation and get prepared for the future. The future can offer a lot of hope if you get moving.